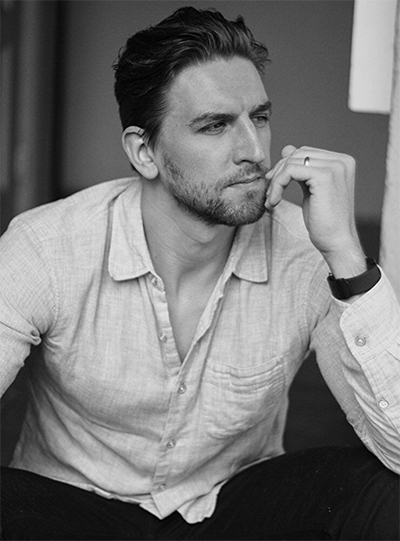 Maximilian Osinski was born in Austria, but raised in Chicago before moving to New York City to study acting. Osinski has acted on film, including Love & Other Drugs and The Express. He makes a recurring appearance on Agents of S.H.I.E.L.D. as Agent Davis where his wife Dichen Lachman portrayed the villain in season two. He co-wrote and co-produced the web series Hollywood Hitmen along with Enver Gjokaj, and starred opposite Scream Queen Jordan Ladd and Australian actor Adam J. Yeend in the hit short film Brentwood Strangler.